It's actually not fixed for me. The red one still won't show up for me. Not sure if this is related, but none of my wizard items are showing... and other items are missing from the hatchlings I've seen as well. Edit to Add: Entire hatchlings aren't showing up now too. 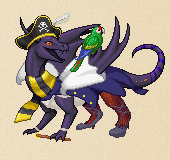 When I go to the "dress up hatchling" page, the costume is back. I am having the same issue as @dustpuppy. 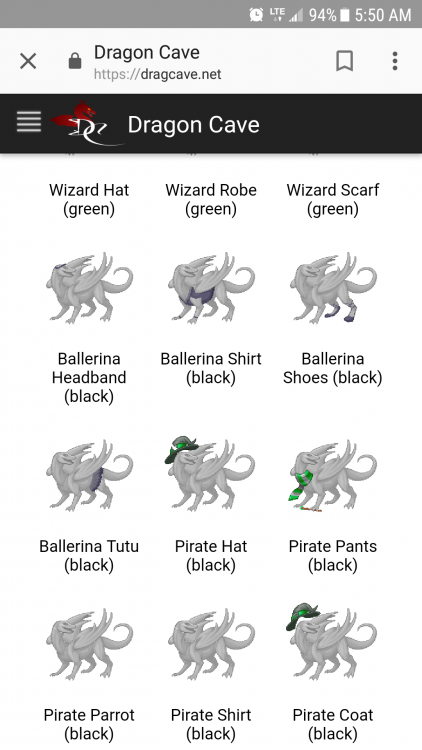 It's also worth noting that it put my dragon in Slytherin clothes, which I do not own. A Slytherin hat also appeared on my dragon. It's gone now, but so are the hufflepuff clothes it actually had on. Edit: The scarf is back. When I go to 'dress up hatchling' it now shows the Slytherin scarf where the pirate pants (black) are, like, when you scroll down and it has the items, it's called pirate pants (black), which my hatching has on, but is showing the slytherin scarf on the preview and on my dragon. Also all the wizard clothes are invisible. Since what's wrong is changing, I think that's a sign of it being worked on. A bunch of stuff is missing for me actually. The new Mummy stuff is entirely invisible, and the black pirate gear is invisible too. Outfits are missing in parts or entirely and everything is mixed up. Ah, glad someone started this conversation...none of the pirate and mummy items are working for me. 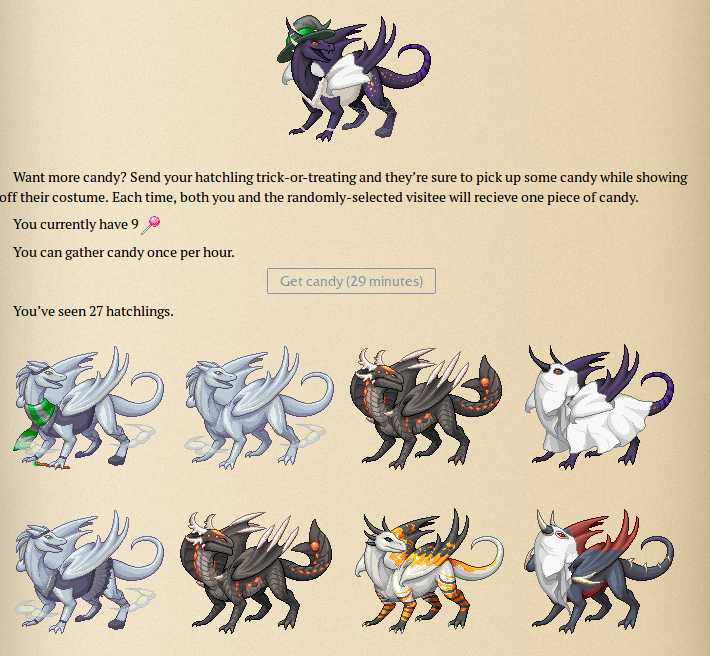 I can't even see them, all I have are naked hatchlings in the squares with nothing on at all..
ALL of the outfits that did show up on my dragon and on the page, don't show up now and are blank on the page. I'm having the same problem as blockEdragon. I woke up and saw that the HP outfit wasn't showing up on my dragon. I took it off and put the mummy one on and that's not showing either. And all the pictures of outfits are blank except for ghost and black ballerina. 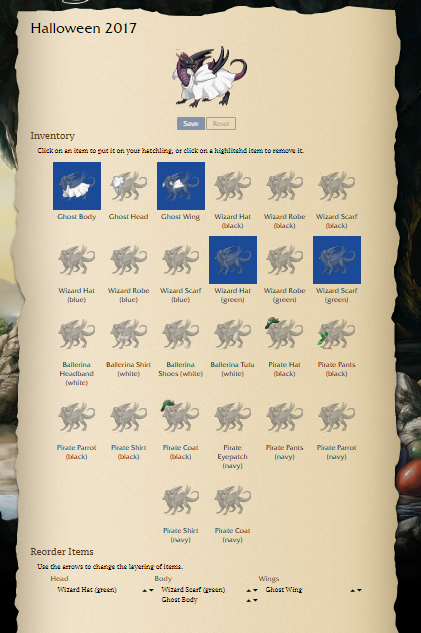 Also, Slytherin pieces are showing on the pirate spots. Everything is back for me now, and works. I had similar issues, but everything seems back to normal for me now! There also appears to be a new pirate costume, if I am not mistaken. I no longer seem to have this issue. Is a hard refresh of any help? Or try clearing your history? I did that and it's fine for me now. Clearing your cache should do just as well.